The Porch - All Things Pearl Jam: Thank you for streaming! 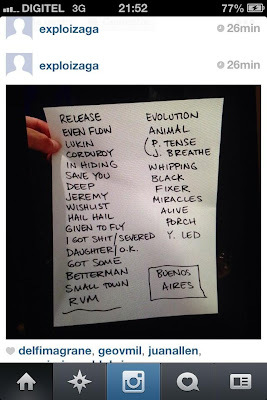 Let's use this page to thank PJ for streaming Buenos Aries 2013. I personally loved getting to see all the social media buzz as we all listened together worldwide. The band typically doesn't stream their live shows, so I'm hoping if we get enough positive feedback to them that they'll consider doing it more often. Please do this every show! Please comment below! this was great, please do it every show! or more often than once in a blue moon! I was listening to the Live in Atlanta broadcast 19 years ago to the day. Almost two decades later and it just keeps getting better. "This is the greatest band in the world" B.H. An amazing feeling of togetherness listening to it with fans from all around the world! Thank you Pearl Jam. What a great surprise, joined after the 5th song. Much love on here tonight. This was amazing!! Even though I only caught the last 20 minutes it was awesome! All Pearl Jam fans came together to listen from all over!! Thank you!! PEARL JAM-with us forever-HOW DO THEY DO IT? LIKE GOOD WINE-IMPROVING EVERY YEAR! THANK YOU! I am PJsNo1Fan and THANK YOU! I almost feel like I am there! Thank you to @ComeToThePorch for sending me a DM that this was on! I LOVE YOU!!!!!! I LOVE YOU PEARL JAM!! Thank you!!!! Always puts a smile on my face hearing you guys live.. So glad I kept trying and finally got connected to the live stream. It was amazing! Thank you, thank you Pearl Jam! 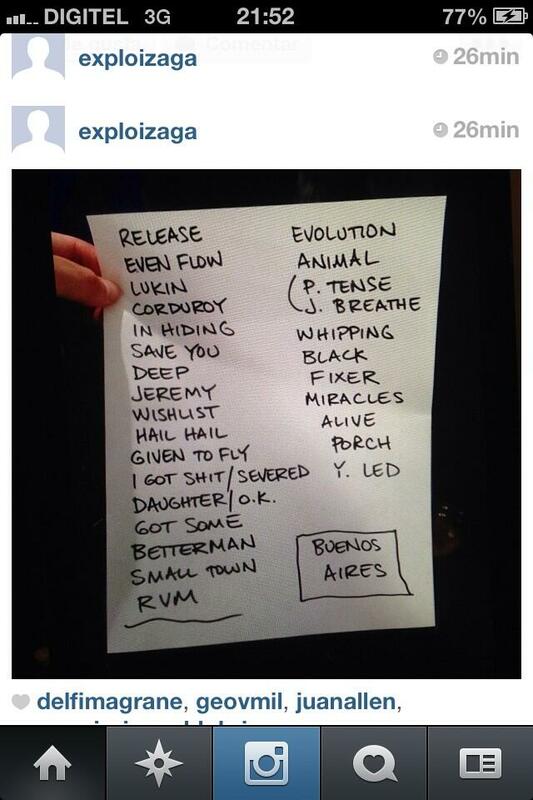 unreal set list and great crowd..la verdad!! Pearl Jam has been with us FOREVER! Like good wine, they get better with the years. THANK YOU-CONTINUED SUCCESS! Thank you for the live stream. I felt the PJ love more than ever tonight listening in with fans the world over. This was amazing!!! Great set list, fantastic crowd energy! LOVED IT!!! Can't wait for Chicago!!!!! Thank you guys!!! Great show!! Moría de ganas de revivir lo que fue esa noche!! !